Attorney General Maura Healey urged transit officials to carefully evaluate the past performance of a company that’s reportedly vying to run some MBTA bus garages. 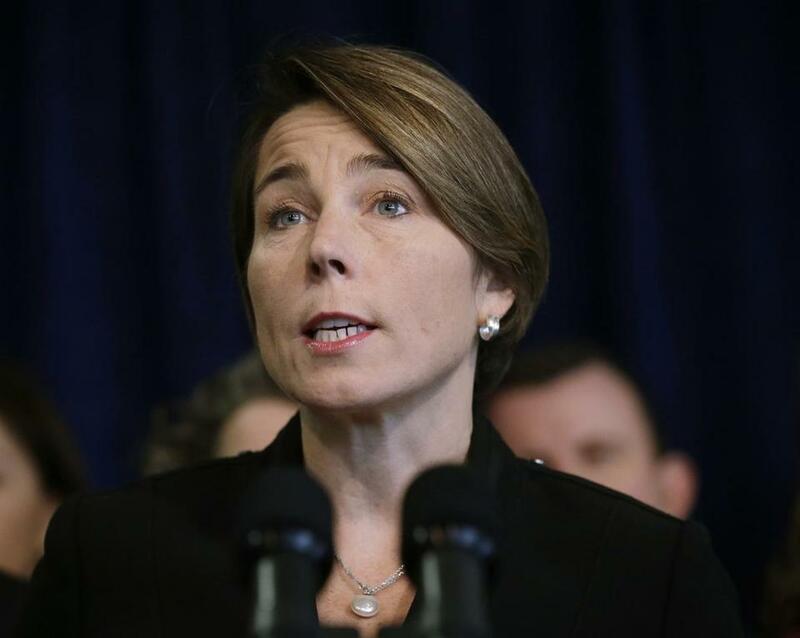 Attorney General Maura Healey waded into a thorny outsourcing debate on Wednesday, urging transit officials to “carefully evaluate” the past performance of a company that’s reportedly vying to run some of the MBTA’s bus garages. Healey said the company, Ohio-based First Transit, has a worrisome history with the Massachusetts Bay Transportation Authority. In 2009, First Transit won a contract to help operate the Ride, the MBTA’s transit service for passengers with disabilities. But the company backed out shortly before it was scheduled to begin providing service and later paid the state more than $7 million to resolve allegations it had breached its contract. “Accordingly, it is of paramount importance that you carefully review this bid with full awareness of the state’s prior dealings,” Healey wrote to the MBTA’s general manager, Luis Ramirez. For months, the MBTA has been considering whether to outsource work at three of its nine bus garages — a review that’s opposed by the Machinists Union Local 264, which represents bus maintenance workers. The union has said that First Transit was the only company to submit a bid by last fall. MBTA officials have declined to say whether First Transit was the sole bidder, and Healey’s letter was based on the union’s claim, her office said. Officials at the MBTA say its bus maintenance costs rank among the highest in the country, and they believe outsourcing some of the work could save millions of dollars a year. A contract could be structured to give priority to laid-off union mechanics for jobs at the privately run garages, they say. The union says its workers are willing to help reduce costs through contract negotiations and argue that outsourcing the work could hurt customer service. They have won the support of several Democratic politicians — including Boston Mayor Martin J. Walsh and US Senator Edward Markey — in their bid to prevent outsourcing. The union endorsed Healey during her general election campaign in 2014, although it did not endorse her in that year’s primary. In her letter to Ramirez, Healey did not say she opposes outsourcing but instead focused on First Transit’s former dealings with the transit authority. She noted that the MBTA has pledged to tighten its oversight of contractors. “My office believes that picking honest and reliable partners is a critical part of that process,” she wrote. Union officials have repeatedly pointed to First Transit’s past contract problem in their campaign against outsourcing. “MBTA officials cannot ignore this clear warning from the Attorney General about the danger that First Transit represents to taxpayers and riders,” said Mike Vartabedian, the union’s business agent. The MBTA declined to comment. First Transit did not respond to a request for comment. Last month, MBTA officials detailed other plans to reduce maintenance costs at certain garages, such as leaving some positions unfilled, reducing spending on overtime pay, and focusing more on preventive maintenance. Earlier this week, Stephanie Pollack, the state's transportation secretary, said officials have recently had “very productive discussions” with the union. She said the MBTA was planning another meeting with the union before scheduling a vote on outsourcing. But Vartabedian said the MBTA has not made a “sincere counteroffer” to the workers’ proposal. In 2015, the Legislature made it easier for the MBTA to privatize some operations. The law is scheduled to expire in July.